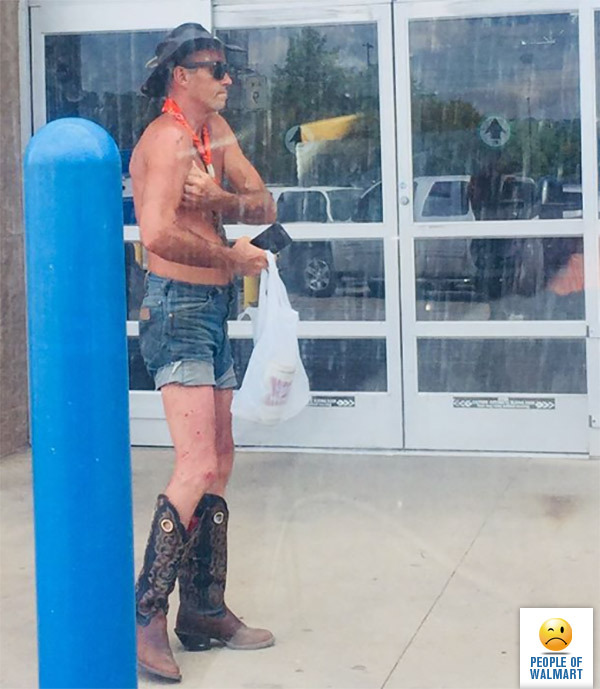 New York’s Naked Cowboy’s lesser known cousin Ron the Half-Naked Cowboy from Hackensack. In the gay rodeo, is he a rider, or does he get ridden? Looks like he’s been bitten by bedbugs. I just noticed those right before I read your post. They could be instead cigarette burns. I don’t think I want to find out what all this guy is into. nope-they dress better in NJ.